“Earlier this week I advised the outcome of the review of the structure of Aviation New Zealand. This advice has resulted in an appointment of Samantha Sharif as the new CEO of the organisation. This also means that Irene has been unsuccessful in her application for the role. This will cause considerable concern and the people involved in the process must be respected. As chair, I am working towards keeping “business as normal” in terms of the day to day functioning of the office. I am happy to hear from anyone who has concerns or would like to discuss the direction of the Aviation NZ during this transition period. Lloyd Klee from Aviation Safety Supplies Ltd has asked for data from CAA on ELT activations from Helicopter incidents in 2013. He obtained a sanitised response – Tail Numbers had been removed. Lloyd asked that this information be provided. He has received a response from CAA declining to provide this information with the comments: “ I'm very far from happy about this, (not being able to provide tail #) as it is a retrograde step for safety, co-cooperativeness and just about everything else I do. But while we have some prominent industry people concerned about their commercial sensitivities I have to comply. Be assured there is activity underway to resolve this but for now I've been told the Privacy Act overrides the Civil Aviation Act.” Let us know if any of you strongly object to having Tail Numbers withheld ‘for commercial reasons’. UAVs or drones, now called Remotely Piloted Aircraft Systems, RPAS for short. As many will know, CAA has developed a draft Interim Approach to the Regulation of Remotely Piloted Aircraft Systems. We submitted a response which incorporated input from NZHA and AAA (see 24 January newsletter). This week, sessions were run with CAA at the AAA meeting on Tuesday and NZHA on Wednesday. The Wednesday session was joined by Callaghan Innovation; AvNZ member Stephen Davies Howard, a director of Sycamore which manufactures and operates RPAS; and Lapo Ancillotti, a qualified pilot and aircraft designer. Interesting to have such a mixture of expertise in one place at the same time. Clearly there are challenges in the RPAS space but there are some clear starting points: the existing aviation system has worked well for 100 years and RPAS must fit into it; protecting safety (and the safety of piloted aircraft) is critical; education of RPAS developers and operators is essential in bringing them to the aviation standard; and RPAS will be a new major driver of aviation growth. Some bridges were built at the NZHA meeting. We will have an ongoing role in this developing area and are keen to continue talking to all members that will be impacted by the development of RPAS. The New Zealand PNG double taxation agreement recently came into effect after being signed by both countries in 2012. It will give businesses greater certainty over the tax treatment of cross-border investment income, reduce compliance costs for both New Zealand and PNG investors, and will lower withholding tax rates. More info is available on the IRDS website. The government is making more information available about purchasing practices of government agencies. 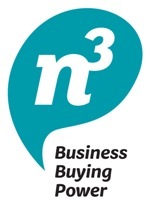 A website http://www.business.govt.nz/procurement exists and from this, suppliers can access the Government Electronic Tenders Service (GETS). The site contains advance notice of upcoming tenders including opportunities to rent aircraft and operators to DoC, the provision of helicopter services, pest control and monitoring, aerial bait dropping, the B757 seat replacement programme, the creation of a night vision equipment training centre and an aircraft intruder detection system. (5) to think what is really going to deliver value to the passenger. These principles reflect the tone of discussions we are having with CAA.